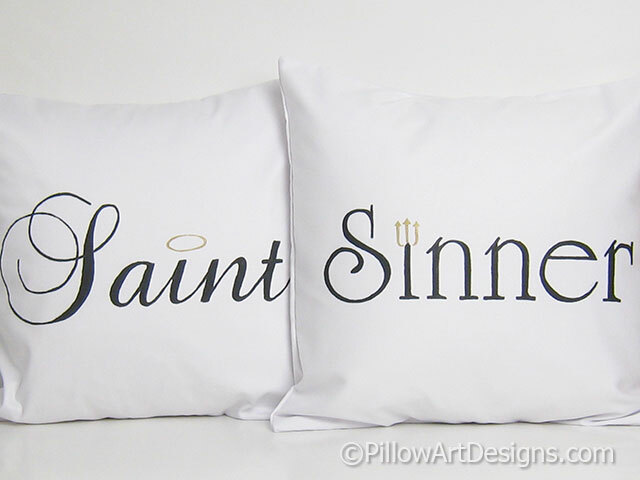 Fun pillow cover set, Saint and Sinner, hand painted words in black on white cotton twill. 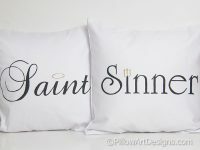 Saint pillow is painted in script font with a metallic gold halo over the letter i.
Sinner pillow is painted in block font with a metallic gold pitchfork over the letter i. 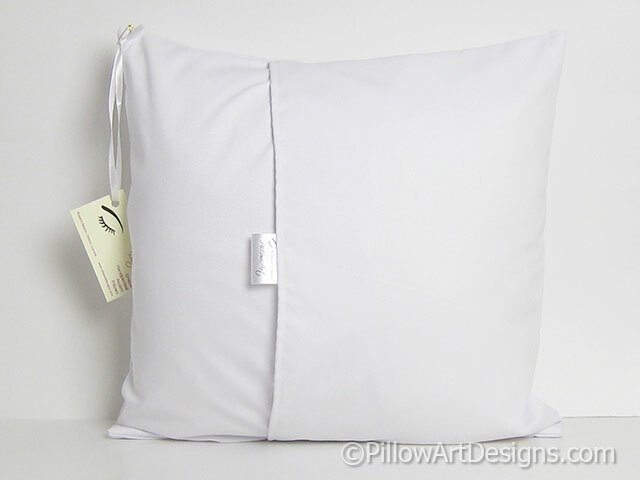 Covers made to fit 16 inch pillow inserts (not included). 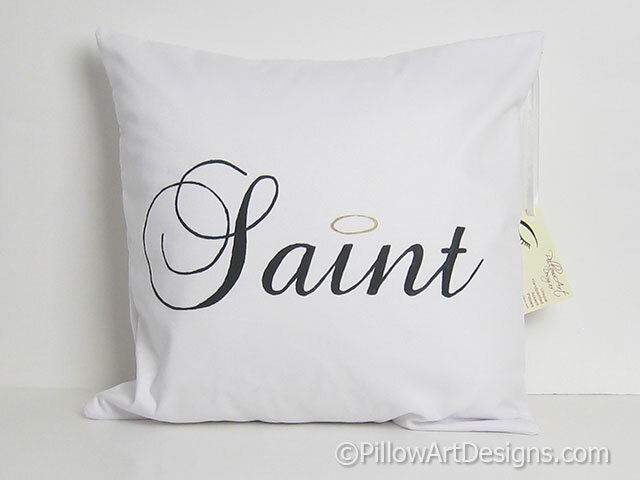 Fabric is white cotton twill, fully lined with 100% cotton. Envelope closures, seams double stitched for durability and overcast to prevent fraying. For best results, spot clean or turn inside out and hand wash in cold water, lay flat to dry.